Luxury apartment, bright and spacious, with an excellent location at the beginning of the characteristic neighborhood of the Albaicin, next to Plaza Nueva, in the historic center of Granada. Downstairs, there’s one bedroom with a double bed and a bathroom, comfortable and bright during the day, like all the property. Then, on the second floor you’ll find a spacious loft room with double bed and a bathroom en suite; a double sofa bed and dining area with table and chairs for accommodate up to six people. The kitchen has all the necessary utensils. The open space and the light that floods the room makes it an ideal place to relax. From here you have the access to the large terrace furnished with garden furniture: table, chairs , sun loungers and a parasol. A few minutes walking, you’ll find the historic center of Granada, with its majestic Cathedral or the ’Gran Vía’. This is an area with an exquisite and varied cuisine, from modern Japanese restaurants to more traditional places. 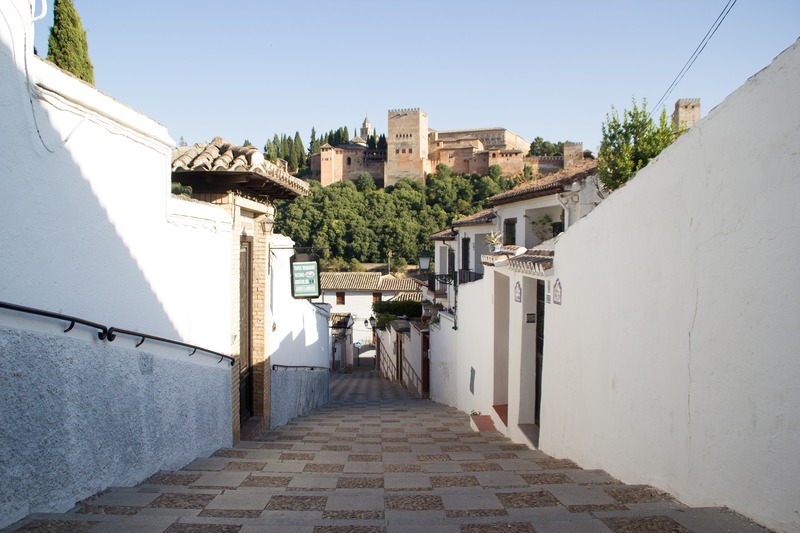 In the other direction, is placed the beautiful neighborhood of ’El Albaycín’, also within walking distance- a must see where you’ll enjoy the most traditional Granada.